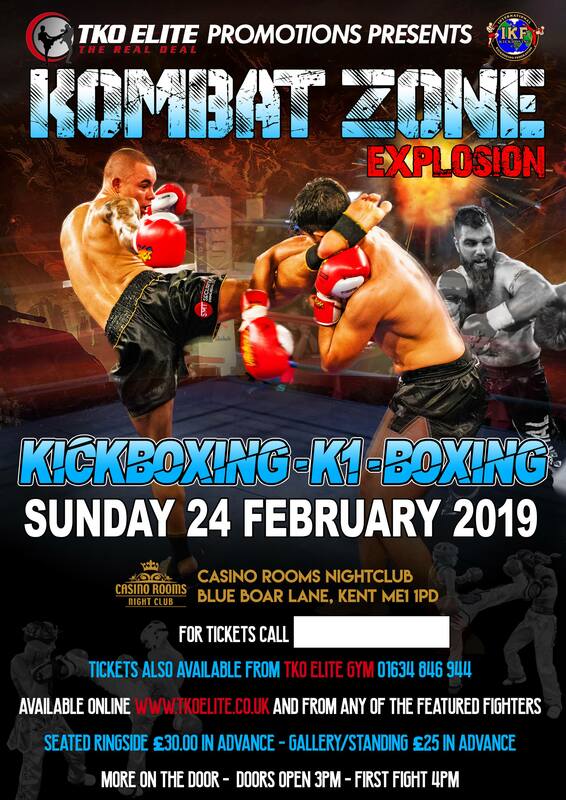 Our first big promotion of the year is KOMBAT ZONE – Explosion on Sunday 24th February, once again to be held at the Casino Rooms in Rochester. We have a massive International line up including of course a team from TKO Elite taking part including Sham Singh, Safeerullah Saffe, Lewis Hitchen, Rytis Villonis and Will French. They are all training hard, so please grab your tickets ASAP to come down and cheer them on. Speak to any of those listed above to get your ticket or call 07912577773 for further information.